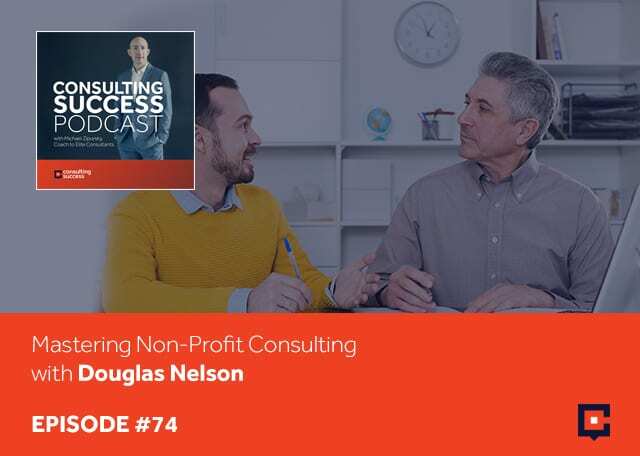 Bringing a wealth of experience and expertise to how you can master non-profit consulting is today’s guest Douglas Nelson, managing director for the Discovery Group. 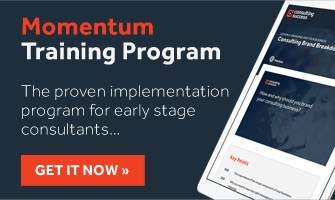 Douglas shares the value of consistent action when it comes to getting organizations to govern themselves better, work together, and create alignment in their organization. Douglas shares the challenges, obstacles, and the learning curve that he faced when getting started in the consulting business to building a successful and growing firm. He also shares an effective approach to creating conversations with ideal clients and how to build a pipeline of opportunities for your consulting business. I’m very excited to have Doug Nelson joining us. Doug, welcome. Doug, tell us what you do and what your area of expertise is. I’m the Managing Director of The Discovery Group. We’re a boutique consultancy-based in Vancouver, British Columbia. We work with not-for-profit boards, senior management teams on aligning governance, planning, and performance. We help organizations identify where they have opportunities to be doing a better job in terms of driving dollars to a mission, performing against their mission, and reporting back to those that support them on how well they’re doing in their work. I’ve had the pleasure of just watching your consulting business achieve and continue to grow significantly. Take us back though. Before starting your own consulting business, what was your role and career path? I had been involved in the not-for-profit or social profit sector for my entire career. It started in university fundraising and moved into healthcare later on. I was CEO of the BC Cancer Foundation and then a large hospital in San Francisco. I got to the point where I realized there’s got to be a better way for organizations to govern themselves. A lot of boards or CEOs spend about 25% to 45% of their time just managing their boards. That’s the time they’re not spending on raising money or working with clients or constituents not delivering on the mission. There’s got to be a better way that organizations construct with themselves and how they can work together. I set out on a little bit of a journey to talk to as many of my colleagues as I could both in the United States and Canada about what was working for them, what didn’t work for them. What I heard back consistently was it was hard to get alignment so that the board was talking about the same things. The management team was talking and the rest of the organization was working on any given Wednesday. I worked to develop a suite of tools to help organizations find that alignment and hold onto it. That’s great that you solicited that feedback from the potential end user ideal clients. Very often consultants have these ideas coming off their corporate career of what the market might want, but they haven’t taken the time to validate whether or not that need really exists and if it is in fact a problem. It’s great that you not only had this idea but then through conversations, that was a reaffirm for you. You’re bringing a wealth of experience and expertise clearly to start your consulting business when you got your start. What type of challenges or obstacles did you face when you first got started? I’d never been a consultant before. It was a very steep learning curve moving from having been CEO with a couple of different organizations and then moving out and starting The Discovery Group with myself and one other partner. We’ve added a couple of staff along the way. The learning curve was learning how to have a conversation with clients, how to make sure to be picking up the phone and having those conversations with potential clients and matching the sales funnel to the delivery. When the sales funnel was working particularly well, we were taking on a lot of clients and some deep engaging work. We realized that we just needed more hours in the day. It’s been a steep learning curve to keep the business moving and coming in and then deliver it at the level that our clients expect of us. I have a clear idea about the value that I wanted to deliver for clients. I’ve been spoken to so many colleagues about what they saw as problems in their organizations. Along the way, I was asking them what they found was successful in working with consultants. What they liked, what they didn’t like, and where they’ve drawn value when they decided to hire consultants. I had a sense of what we wanted to deliver, the conversations we wanted to have with boards and CEOs and other organizations. What was keeping me up at night was how to get to have those conversations. What I found most effective was the discipline of just doing it on a consistent basis. Picking up the phone, sure sending some emails, and sure using LinkedIn. For the most part, it’s picking up the phone and calling people either in my direct network or people that had referred me on and telling them about The Discovery Group, what we’re trying to do and asking them if they had similar problems. There were lots of days when I didn’t want to pick up the phone. It was either client work to do or I wasn’t feeling it, or I was nervous, and I didn’t want to get rejected. Knowing that it was my discipline, it was my practice to do that every day or every week. Every Tuesday morning was what I set aside for myself to make sure and make those calls. All of us in the group continue to make those calls. We have our Tuesday morning call outs and everybody does their calls either to check with existing clients or past clients or to identify and continue to build relationships with potential clients. You’ve done a terrific job of that. I know one of the things that we talked on is in terms of strategy for you that you’ve executed on so well here, Doug. A lot of people maybe know that they should be being more consistent with their marketing or just taking more consistent action around their outreach, but yet they still don’t do it. What do you think for you and also for your team, as your company has grown, has been the driver? Was it just simply a decision of, “Starting now, we’re going to do this?” Is it not a question of not doing it, it’s just going to happen? Was there some other driver that became alive within you that helped you and compelled you to ensure that it happens consistently? There are two answers to the question. The first answer is, my monkey brain was very aware that without clients, the business wasn’t going to work. The bank would get grouchy about not getting their mortgage payment and the children would be hungry and those kinds of things. There was that base fear of wanting and needing to be successful. Once we got started, it was the value that we wanted to bring to our clients. We’ve identified what we believe to be a real problem across the social profit sector in Canada and the United States, which is the alignment of boards and their management teams. This outreach is an opportunity to hear the stories of other organizations, hear other CEOs and board chairs and board members are seeing in their organizations. Even if we’re not moving those organizations forward as potential clients or it’s going be a long time before they’re a client, we’re hearing their story. 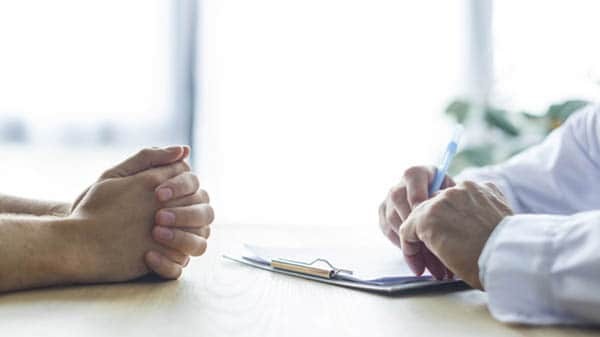 We can apply that learning those situations to our existing clients and add a greater depth of experience than we otherwise would be able to do. It just comes back to this just has to be something we do. This is something I have to do. There have been potential clients that I know I should call that I’ve put off for a couple of weeks because I’m not sure how I want to approach it or I’m not sure where to start. Every time I invest the energy and coming up with an excuse to not call that one client or potential client, I’m reminded, “You’re wasting time. Just pick up the phone and it’s going to go better than you think. You’ll know the answer and then you can react what you learn.” It is a consistent discipline that I have to keep coaching myself and coaching my team to make sure that we continue to do. Making this as tactical and invaluable for everyone, how do you approach those phone calls? What have you learned? What have you found to work best to call prospective clients and be able to move that conversation forward? At the very basic levels of tactics on the monitor in my office. I have a sticky note with the number four on it. It’s there all the time. That’s the number of potential clients that I want to talk to every week. It’s not past clients, but this is the number of new outreaches that I want to make every week and my week isn’t over until I’ve done all of those things. I’m mindful that nobody wants to get a call from me at 4:30 on Friday afternoon, so I got to do it earlier in the week. That’s the first thing. The second is, making sure that I understand where the organization is, what their governance structure is. Organizations will tell you that. There’s a lot of information available about how small profit organizations are doing in terms of their finances, how they’re structured, who’s on their board and those things. You’re doing some research before you make those phone calls. Understanding where they might be in their development cycle. Organizations with new CEOs tend to be very open to change and trying to understand how they can make the organization work better. Once the organizations are into their growth curve and they’re focused on execution, we can certainly add value around the margins there. We find that a lot of those clients, a lot of those organizations need to be focusing just on delivering on the plan that they have. We can help them tweak that plan and help them align their board. The other place that we find the organizations in need of our help or open to the conversation is where there’s been a long-term CEO. Maybe in the last 36 to twelve months or shorter at the retirement or leaving the organization that’s when the board is usually starting to ask more tactical operational questions about how the organization is performing and how it might perform better. Understanding the stage of where the organization is at in terms of its leadership is an important thing for our work and the conversations that we want to have with them to be able to show how we might add value for them. Do you make that phone call and then ask them those questions or are you making the phone call more with the mindset of getting yourself on their radar? What’s the approach that you’re taking in terms of the actual conversation you’re having with them? We can only be making educated guesses about where organizations are in their stage. Having that, but then asking questions with the CEO about what issues they’re facing as it relates to their board, their strategic plan, and the performance of the organization. Within the first three or four minutes, most CEOs will give strong clues about what issues are giving them pain. Just digging into those and asking questions about how they’re approaching it. Being a CEO, I know those jobs are particularly lonely. You can’t be as worried or concerned as you may be feeling to your CFO or to your chief of marketing or head of fundraising. You can’t admit the vulnerability and all the things you don’t know to your board chair because they’re your boss. One of the things that we spend a lot of our time with is acting as that strategic thinking partner with CEOs to help them position themselves with respect to the board and position the board itself. Drive that change that they’re trying to make in the organization right through the organization. Doug, I know you’ve shared with me that your average engagement and consulting project value has increased. People always want to earn more, but they’re often not sure how to achieve that. How do things look for you now compared to before in terms of your engagements? How have you been able to create more value, but also being able to extract higher levels of compensation and value for your consulting business as well? There are two things. One is the steep learning curve of learning how to be a consultant. Now that we’ve taken on a team, we have responsibilities to be able to make payroll and those things. Learning how to do this work better has been a big part of it. Focus on understanding the challenges our clients are facing and the value that we can give to them. A lot of it has been our own confidence or my own confidence in being able to say the cost of this project will be X instead of Y. What I’ve come to understand and what I’ve learned is that when you’re asking questions about what’s challenging for CEOs and for board chairs, the cost is always going to be less than the problem. The fee is always going to be less than the problem they’re trying to solve and significantly so. Just having the confidence to say what the value of the consulting is going to be and saying it with a straight face and sincerity. We’ve seen our average engagement nearly double as a result of that. We say this to all of our clients and it’s true across the social profit sector. It’s true across every business sector. Your results will follow your investments. We need to put the money in before you see the result. The basic common sense. This scarcity mindset of being new at consulting was hard for me to follow my own advice and take that step to invest. We had a couple of clients that required very specialized services of legal nature. We were talking to some organizations about merging and we needed to bring that expertise into the team to be able to answer those more legalistic bureaucratic problems for those clients. What our clients demanded of us helped make that jump easier. For me, the biggest struggle that I’ve had since we launched the group was when to take that next step. When to add the support to make everybody able to focus more on driving value for our clients? We’ve decided to do that because our clients have required more of our time, but we have consistently invested just before it was a crisis. The advice that we give with our clients and we know it in our sector, I think it’s true across all businesses is that the results follow the investments. You can’t expect to grow and then invest. You have to invest first before you can grow. It’s hard to follow as a small shop and starting out, but we’ve managed to keep a focus on that, and it’s worked out well so far. That’s my experience as well. 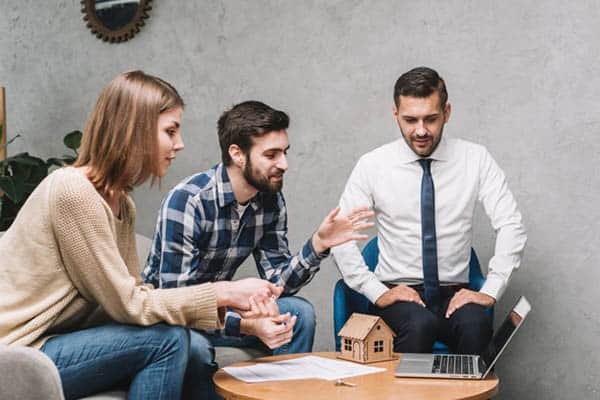 I know for us when the first consulting business we started and even later on in other consulting businesses, there’s a lot of concern or hesitation around making big investments. Sometimes it’s scary but doing that is what’s the greatest breakthroughs for us and for many others too. That’s good advice. Looking back, we could have added months. The planning that we’ve been doing at the start of 2019 here is to make sure that we are investing even earlier as we go forward. As we grow this year, we’re going to be investing before the pressure starts to build. The opportunity to work with clients who need our services is there so we’re going to focus on that. One conversation that has come up is the question for consulting firms that have teams, whether to work in one physical location together or spread out in a virtual office. You have a physical office. Your team works there. What’s been your reasoning for that? What is the reason for having that verse going virtual? One of our teammates is virtual but for the most part, I liked the sense of team. Our clients work as teams both as boards and as their senior management teams. A lot of our best thinking happens out loud and in a group. We come together and spend a lot of time with the whiteboard. We’re taking notes on defining the problems that our clients are facing and then a path forward to help them manage that. It’s how I work best on a team and in a team and it matches the reality of most of our clients. It’s a good insight and it’s not one that is necessarily right for everyone. There are some people in some situations where the virtual setup will be better for them and others being all in one place. For me, having a dedicated space is critical. When my daughter was young, there’s no way I could work from home anymore. It’s just what I had done, but our team is all virtual. It works well for us based on our lifestyles and the way that we run things. Having a dedicated quiet space to concentrate is certainly important for me as well. I have an office outside of the house. I know many others having that team all in one place is the key. The important thing for everyone is to figure out what’s right for you in the way that you work is going to help you to perform at the highest levels. The other question I had here for you, Doug, is that you work in the nonprofit sector with boards and leaders. Sometimes people believe that there’s no money in nonprofit. You’ve clearly proved that wrong. I know your business is doing very well. Even for those that are not in the nonprofit sector, they might be in an industry or a sector where they just find it hard to create a lot of value and earn higher fees. What would you say to them? What’s been your experience with that? The not-for-profit sector or the social profit sector is one of the fastest growing parts of the economy in both the United States and Canada. There are now career programs that people are going to university in order to get into the sector. It really is emerging as an economic force. One of the things that’s changing in the sector is it used to be that thinking it’s not well for the not-for-profit so being nice is good enough. The reality is the organizations, some of them run on a shoestring, some of them slightly more than that. Nobody’s running the fat budgets at all anywhere in the sector. The organizations that are successful have a real discipline about where they invest the resources both in terms of their staffs and the programming and the consultants that they hire. That rigor serves us at The Discovery Group very well. We want to show that investing with us in the work that we’re going to do with them is a part of that diligence that they show with the dollars that they have to invest. The other part of it is there is a real working with boards. There’s a difference between social profit boards and for-profit boards particularly public companies. At the social profit boards, individuals come to them because they want to give back. They want to be part of something bigger than themselves and they want to do good. The real opportunity for social profit organizations is to get the professional experience and the personal wisdom out of as many of the board members as much as possible. Too often in this sector, we have people sitting around the table listening to reports and then asking a couple of questions. They don’t think about the organization again for another three months when the next board meeting comes up. Part of being aligned is helping get the very best strategic expertise out of boards as possible. That’s how you set up the meetings, the kind of conversations with CEOs in between meetings with board members, how you structure the meetings. All of that contributes to maximizing the value out of your board, which allows the organizations to be more successful when they’re running on a day-to-day basis. Our job is to help the CEOs and the boards to identify those opportunities to maximize the strategic time and minimize listening to financial reports. Even if you’re not working in the same space or a space that you feel is anything close to being similar, just take what you’ve heard if you need to reread and apply the similarities. There are always similarities. There are always things that you can take from one industry or one sector and bring it to another. You start seeing exponential gains or benefits because it’s a different perspective. It’s a different way of thinking. Apply that critical thinking to everything that you’re hearing here. Doug, I want to thank you for coming on sharing some of your journey and best practices with us. A lot to be gained from implementing. I know it’s been a real pleasure watching your business grow. I’m sure that as others implement some of the ideas and best practices that you’ve shared here or at least the mindsets and the discipline, they will see benefit from that too. One question here for you though, before we wind down and it’s something that I haven’t asked, but I figure I might as well test it out on you. What are you most excited about in your business in 2019? I’m excited to continue helping organizations find the better way forward. We talk about helping organizations to become exceptional. The more clients and organizations that we’re working with, we’re seeing more and more how organizations are able to increase what the dollars that they’re raising, to live more against the mission. I’m excited to see what 2019 brings in terms of the number of organizations that we get to help become truly exceptional in the space. Doug, for those who want to learn more about your work, where should they go? You can find me at the website TheDiscoveryGroup.ca or on LinkedIn. I’m on LinkedIn regularly, so look me up there and connect there. I’m happy to talk to anybody who’s interested and who’s been starting their own consultancy or certainly anybody in the social profit sector. Michael, you have been a tremendous asset in helping us in our adventure. I want to thank you very much for all that you do to help us find our way. Doug, thank you. It’s been a real honor and pleasure for me as well. If you want to connect with Doug and I certainly recommend that you do. He’s a great guy. He accomplished a lot. He’s wicked smart. I would take him up on his offer there. You can go to Doug’s LinkedIn profile and also his website. Check them on TheDiscoveryGroup.ca. Doug, thanks so much for coming on.